Gerd Ludwig, a National Geographic veteran known for his powerful photo essays, is one of the leading documentary photographers of our time. As a photographer focusing on diverse cultural and environmental stories, Ludwig is often confronted with a wide range of low-light situations-from classic street photography to portraiture, from scenes in bustling night clubs to intimate moments in churches-many of which require additional lighting that must be created quickly, effectively, and discreetly.More than 20 years ago, Ludwig began incorporating small handheld flashes into his photography with the aim of creating an evenly balanced look in the final photograph. These small flashes also alleviated the burden of carrying heavy equipment, allowing him to be flexible and inconspicuous when moving around in the field. Over the years, he has refined his use of small flash to hone his technique even further. His use of flash appears so subtle in the final image that it is easily mistaken for natural light-an invisible flash. 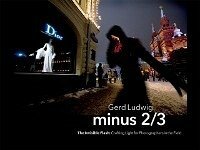 Additionally, in his fine-art and documentary work in interior or night settings, Ludwig recently began making long exposures by combining a camera on a tripod with a series of flashes fired from a single hand-held unit.In the past, Ludwig has discussed his tricks of the trade only in lectures and workshops. Now, in Minus 2/3-The Invisible Flash: Crafting Light for Photographers in Field, Ludwig takes us behind the scenes of many of his most iconic images to share his approach to lighting with small flash. 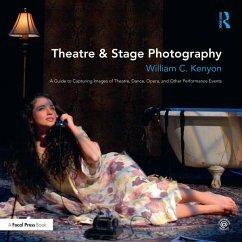 Equal parts inspiration and education, Minus 2/3 is straightforward and succinct, yet filled with numerous takeaways from one of today's leading photographers. 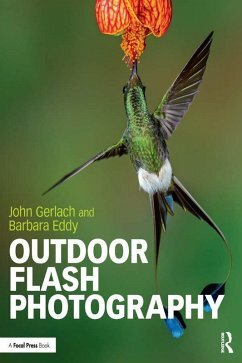 Packed with beautiful, effective, and moving images, Minus 2/3 offers ideas, insight, and inspiration for photographers looking to subtly incorporate flash into their work.Please note: Some images featured in this book may be considered unsettling for some sensitive readers.